The word “surgery” has a tendency to instill fear in the minds of adults and children alike, and the term “oral surgery” only seems to make matters worse. Research shows that around 60% of people have dental anxiety and will wait till the final hour to go get their dental issues taken care of. We’re hoping that this blog helps shed light on oral surgery in general, so that the word “surgery” will make you smile instead of shy away. How could these words possibly make you smile? Because of the end result! An oral surgery will enhance your life and relieve you from discomfort so you have a new found freedom to look forward to! Here’s what you need to know – oral surgery itself is performed to treat diseases, correct conditions of the teeth, gums, and jaw, and, sometimes is used for cosmetic purposes as well. Oral surgeries may be further classified as “major” and “minor”. Minor procedures are routine and are performed with ease whereas major surgeries are more complex and time-consuming. In fact, oral surgery is becoming a popular trend among the cosmetic community. Procedures like crown lengthening and removal of clefts are becoming more common as people resort to oral surgery to correct imperfections in their appearances. So what are the most common oral procedures that you should be aware of? Here is a small list. There are several factors that lead to the extraction of a tooth. This is a decision that is taken by dentists after ascertaining that the damage or disease on the tooth is so bad that the tooth cannot be saved or restored. The tooth is simply removed from the socket in a simple process. A tooth extraction will provide a lot of relief from any pain you may be in due to the condition. In many cases, the empty socket is then filled with the artificial tooth so that the overall appearance of the denture does not get spoiled. In some cases, a tooth may be impacted and as a result, it gets trapped under the bone and soft tissue. This means that the tooth will not erupt in the mouth – this is a common issue with molars and canines. For example, you may have a third molar which needs to be removed. For this procedure, a small incision is made in the gum and the bone is carefully removed by sectioning the tooth. After recovery, you will find tremendous relief. Wisdom teeth grow for all young adults in their early twenties and is usually no problem. However, for some cases, the wisdom tooth may be impacted and in this case, it makes the most sense to remove it. These third molars get impacted or trapped under the soft tissue and if left untreated, can cause major misalignment. If the wisdom tooth is not removed, food gets trapped around the wisdom teeth which in turn causes tooth decay-causing pain to the patient. It’s best to have these removed so that your teeth are saved from misalignment. Sleep apnea is a sleep disorder that needs immediate attention. There are a number of options for treating this condition and in extreme cases, surgery is the best long-term option. What happens with this disorder is that excess tissue at the back of the throat constricts breathing, which can be dangerous while you are asleep and unconscious of your breath. An oral surgeon can extract the excess tissue and clear the airway so that air may pass freely through the system without any blockages. You can rest assured that you will sleep easily after sleep apnea treatment. If you are suffering from loss of a tooth, a dental implant may be necessary. In this procedure, small posts are attached to the tooth sockets of the patient to heal. After the healing process is complete, the artificial teeth are screwed into place on these posts, creating permanent replacements that look and feel like real teeth. Sometimes, cleaning of the gums may not be enough to rectify long-term scaling and damage. In these cases, a gum surgery could be the only option. Depending on the surgery, an incision is made at the gums so that the roots and internal parts of the bone may be worked on. In some cases, bone grafting and grafting of the soft tissue may also be necessary. This is a common last resort in cases of impact injuries and accidents. This is a procedure that is used to rectify fractures, orthodontic anomalies, and for the removal of any pathology in the jaw region. These are slightly complex and called for oral maxillofacial surgeons. Some people have an issue where the upper and lower jaws do not grow as they should. In these cases, the patient may have trouble with basic bodily functions such as eating, breathing, talking and even swallowing. For extreme cases, oral surgery is used to recreate a suitable jaw structure that is more balanced and functional. If you can put your preconceived notions aside, you will realize that there is nothing risky about oral surgeries! What’s more is that doctors have a moral and professional obligation to make their patients feel comfortable by answering any and all questions that they may have regarding the procedure, so don’t be afraid to voice any doubt or fear you may have. You can be rest assured that your doctor will provide you with support for the same. If there is pain in the picture, it is addressed with general anesthesia, so if it’s the pain that you’re afraid of, have no fear because you won’t feel a thing! Nothing can compare to the relief you will feel after getting a nagging issue seen to, so if you have any dental work that you have been postponing due to a fear of dentists and surgery, remember that prevention is better than cure. It’s always best to nip something in the bud rather than to wait for it to fester and spiral out of proportion. If you’re new to a city or if you don’t know any oral surgeons, download our app and access the best, verified and experienced oral surgeons in your area who would be more than happy to help with any condition you may have. Is It Time for Your Next Dental Check-up? The high-stress lifestyle which we all live these days leaves us with very little time to take care of one the most important things – our health. There is simply no time to take precautionary measures. The doctor ceases to become someone we visit only when there is no getting out of a health scare, and that too when we are unable to treat the problem ourselves! Unfortunately, that isn’t exactly an appropriate way to go. Timely checks help us avoid last minute tensions, and in turn, time and money so to say. On that note, we realised that somehow the most ignored health aspect is taking care of our teeth. Unless someone is grappling with a toothache or maybe a loose tooth, there hardly is a time when we visit a dentist on our own. So much so that in the process we fail to see the long-term repercussions of missing a dental check. According to National Oral Health Programme, only 50% of India’s population uses a toothbrush and just 2% of the population visit the dentist. Teeth are an indicator of not just a clean mouth but also a healthy heart! Yes, you read it right. During a routine dental exam, a dentist will check for any gum problems, decaying of teeth, and any tartar or plaque build-up. However, the overall oral condition will also indicate if you suffer from any vitamin deficiencies (especially vitamin C), and other serious problems such as diabetes or oral cancer. Dentists are also ideally supposed to check for the movement of your lower jaw joints (TMJs) to indicate any joint problems and peripheral head and neck issues. But most importantly, there is a strong link between healthy gums and our heart. Apparently, the oral bacteria easily spread through the body worsening any impending heart diseases, rheumatoid arthritis, type 2 diabetes, and other inflammatory conditions. No, we don’t mean to scare our readers at all. Just trying to reiterate the importance of dental hygiene for the overall wellbeing. Even if you brush twice a day, floss, avoid harmful substances such as tobacco and cigarettes, it is vital to go for a dental exam every six months. That is what the American Dental Association recommends for all, young and old. Just schedule a 6-monthly appointment with your dental practitioner so there will be no hassle in remembering the dates. Do check with the doctor if the daily dental routine you follow is on the right track; if the brushing and flossing technique you use are correct; if there’s anything more that needs to be done for the maintenance of the teeth and gums. At such appointments, you will be checked if the previously done fillings are still strong or need rework. That is critical because the way we chew the food has a direct effect on our entire digestive system. Sometimes, dentists may even ask you to take an x-ray to check for any root damage. That again is very important since it will avoid significant pain, if some tooth root does show to be problematic, in the later days. Hence, dental exams allow a thorough complete protection against future concerns and thus are absolutely indispensable on a periodic basis. Before any dental procedure, don’t forget to share your medical history with the dentist. It is important that they know about your medications, medical history, heart diseases, diabetes, pregnancy etc. It is also always recommended that you share your health concerns, allergies, or anxieties with the dentist. In today’s age of smartphones, you don’t really need to carry too many files with all such details with you. All you need to do is maintain your medical history through a mobile app, and share the information with the doctor during your visit! The sound of the drilling by some dental devices or pain experienced during treatment in the past may be keeping you off such visits. However, don’t be nervous. Do remember that it is all momentary. And also, something for your own good. Once the check-up/ treatment is done you are good to go for another couple of months without any worries. Your teeth will look cleaner, you will feel so fresh and healthy, and more than anything else, the bright smile will be so worth it! Posted on January 6, 2017 Author Mars PlusCategories Dental Care, Health Management, Quick Health TipsTags dental check up, dental issues, dental pain, dental procedures, dentist, dentist check ups, tooth careLeave a comment on Is It Time for Your Next Dental Check-up? 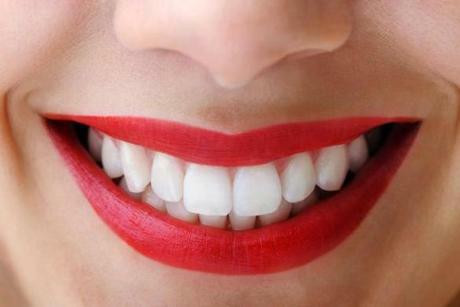 They say a set of great teeth adds to the first impression you make, because it is all about a smile. And we know how a lousy set of ‘pearly whites’ can reduce the wattage of a smile. Which is why it is important that you take care of them meticulously. There are a few things you need to know about whitening teeth and why it is different from cleaning them. It is common for most people’s teeth to get yellowish or dirty due to various kinds of deposits over time. What you need in such a case is a procedure called scaling (which must be performed by a qualified dentist), and you should not do it more than once a year or your pearly whites may lose their strong foundation. Scaling and whitening treatments are not mutually inclusive. This afternoon, we caught Dr. Abhinav Talekar, child dental specialist, for a quick 20-minute interview. He was in a rush between patients and appointments. Here’s what we heard from him. How can we take care of baby teeth without brushing (since they don’t have teeth)? Dr. Talekar: If your baby is between 0-6 months, a white sterile sponge with water can be used to clean his/her gums. These days there are toothbrushes available for kids between different age groups; Pigeon and MeeMee, to name a few. Also, it is not about which toothbrush or toothpaste to use, but more about correctly brushing the child’s teeth. Do we really need to take care of milk-teeth? Dr. Talekar: There should not be any doubt about this. Obviously we should give a lot of attention to a child’s milk-teeth. The child’s last milk-tooth exfoliates at around 14 years. Carrying a decayed tooth for that long can have long-term harmful effects. Healthy baby teeth are important for chewing and eating, so your child can get the nutrition that he or she needs to grow. Teeth are also important for learning to speak properly. Apart from this, a nice smile helps build a child’s self-esteem and social connectivity. What do you advise for parents who feel scared that their child will not sit for dental procedures? Dr. Talekar: If adults feel scared about dentistry, how can they expect their child to be fearless on a dental chair? That’s why Pediatric Dentists are there. We work with them like friends, make them comfortable with us on a human note and we always end up getting much better co-operation from children than their parents (smiles). Since you are a Paediatric Dentist, I want to ask you an interesting question. Is chocolate really bad for your teeth? Dr. Talekar: (laughs) The blame goes to chocolate. But to be honest, anything that contains sucrose, be it milk cookies or chocolates or chips, if consumed during the night without brushing your teeth afterward, anything can cause plaque. But since chocolate is more popular among kids, it takes the blame! It doesn’t matter what you eat, it matters how long you keep it in your mouth. What is the most common dental problem in kids you come across in your practice? 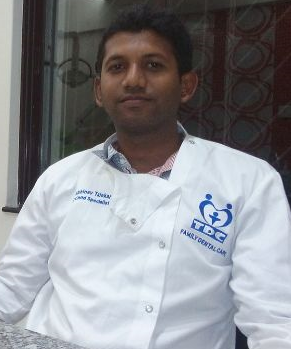 Dr. Talekar: Teeth caries are the most common among kids here in Pune and parents lack awareness about this. What is your take on fluoride in toothpastes? Dr. Talekar: See, fluoride is always debatable. Yes, it is true that excessive fluoride in water is harmful and may cause fluorosis but use of fluoride for the prevention and control of caries is well-documented to be safe and effective. According to a recent policy passed by the American Academy of Pediatric Dentists, children below two years of age can use a smear of fluoridated toothpaste. From two to five years onwards, a pea-sized amount should be used. Which is your personal favourite toothpaste for kids and adults? Dr. Talekar: I knew this question was coming (smiles). I don’t want to come off as someone who is marketing toothpastes. Yet, if I have to answer this question, my personal picks for kids would be: Kidodent, Pigeon and MeeMee. For adults, Colgate Total is a good toothpaste but as I said, it doesn’t matter which toothpaste or toothbrush you use. What matters is the number of times you brush and more importantly, the way you brush your teeth. Otherwise toothpaste is just for a placebo effect according to me. On a candid note, which is your favourite holiday destination?